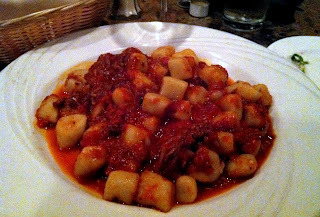 Giorgio on Pine is an Italian BYOB located just off Broad Street on, you guessed it, Pine Street. This is the first time we've put a restaurant through the Nana Test with a large group of 15 people. [Click for our previous Nana Test reviews.] Did Giorgio’s live up to a true large Italian family experience? Yup. 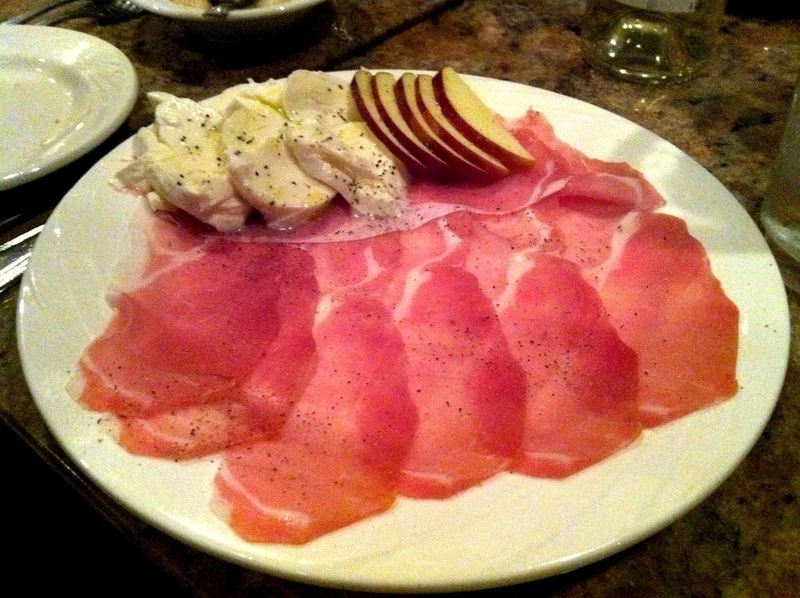 Atmosphere: Giorgio's is your typical small BYOB with tables close together. Conversation throughout the restaurant was plentiful, relaxed and loud like any Italian meal should be. A highlight of the night was a couple sitting next to us who asked why our group of 15 was there (answer: dinner before a Mask & Wig show). This led to a hilarious exchange about members of each party dating, the pleasures of drinking wine and fond experiences with the laugh-so-hard-you-cry Mask & Wig club. 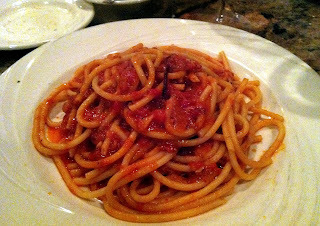 The Sauce: The white wine spicy marinara with the bucatini was lick-the-plate-clean good. I was really impressed with the nice sweet flavor of the sauce I also didn't have to ask for extra since Giorgio's was the kind of place that knows to give you plenty already. I’d eat that dish any day of the week. Sambuca test: A flat no when requested, unfortunately. Giorgio's is one the best BYOBs we've visited and put through the Nana Test. The failure of the secret sambuca test was a real disappointment though. I almost want to take away points since any BYOB with a score this high should also pass the sambuca test. Maybe they'll add it someday. My husband hosted my 30th birthday party at Giorgio. Such an underrated spot and great for large groups! I've walked by here a MILLION times and never been. This might be what I need to make it there :) PS Mask & Wig-- our favorites! We go every year. No way! That's funny go to Mask & Wig too. One of my coworkers was in it during school so it's a big company outing to see the show each year. Once again, this year's show made us laugh til we cried. Thanks for this review! You have successfully convinced me to make a reservation for my hubby's graduation dinner next week. We will be a party of 7. Is this restaurant far from UPENN campus? I like your blog btw! Hi Shana, glad to help!! It is a great spot for a graduation dinner. In fact that reminds us that we meant to do an entire post on where to take your fam for grad dinners. Maybe this weekend. It is just on the other side of Broad Street on Pine, so from campus a 15+ block walk. Better to cab it.